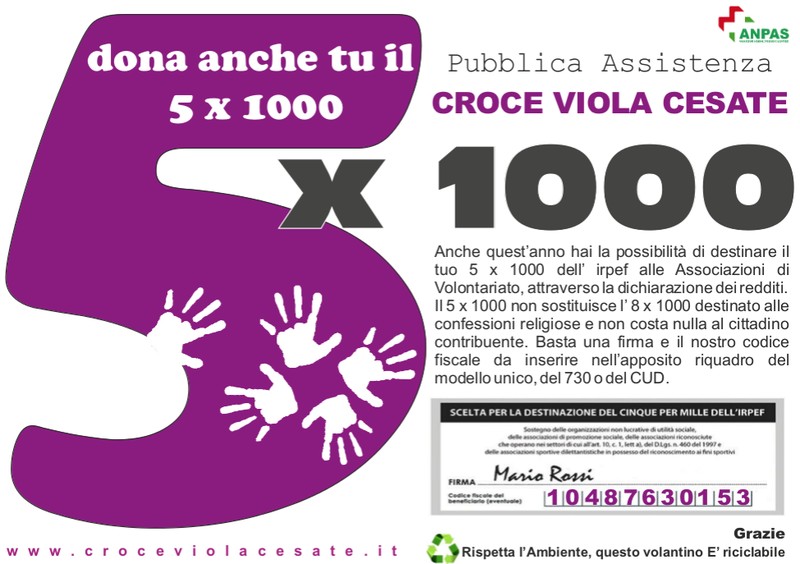 Dai il 5×1000 alla Croce Viola! This entry was posted in dona il 5x1000 by admin. Bookmark the permalink.